Who was Dawn Powell? 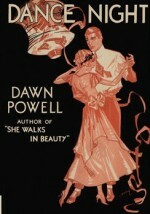 - The Diaries of Dawn Powell -- 43 volumes dating from 1915 through 1965 -- are now for sale to the right bidder. Hattie Sherman Powell with daughters Mabel, Phyllis, and Dawn, 1901. 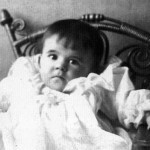 Sister Phyllis born December 29 at 115 Cherry Street. 1903 Mother dies, probably the result of a botched abortion, on December 6, in Shelby, Ohio. 1907-9 Father marries Sabra Stearns, a former schoolteacher and cashier, in 1907. Family is reunited in a large farmhouse outside Cleveland. Stepmother proves to be abusive and is despised by Powell and her sisters, all of whom eventually run away from home. Becomes an early and precocious reader; favorite writers include Alexandre Dumas, Victor Hugo, and Charles Dickens. Begins to write stories, plays, and sketches. 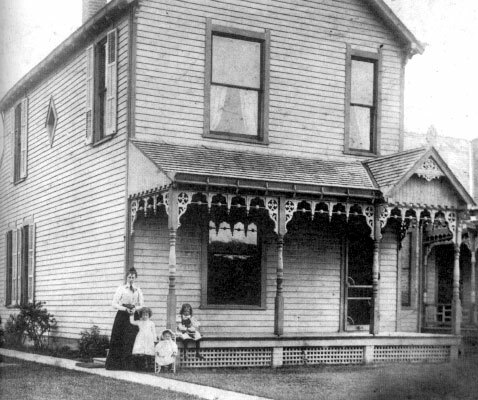 1910-14 When stepmother burns some of her notebooks in the summer of 1910, runs off to live with her maternal aunt, Orpha May Sherman Steinbrueck, in Shelby. Aunt encourages Powell’s literary ambitions. (“She gave me music lessons and thought I had genius and when I wrote crude little poems and stories, she cherished them, positive that I was another Jean Webster or Ella Wheeler Wilcox.”) Attends Shelby High School, where she is made yearbook editor in her senior year. Dawn Powell on the beach, 1914. With the financial assistance of her aunt, neighbors, and the school itself, matriculates in the fall of 1914 at Lake Erie College in Painesville, Ohio. 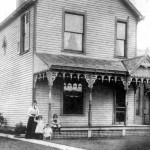 Publishes stories in the Lake Erie Record, beginning in early 1915. Works during summer of 1915 as maid and waitress at a resort near the college; writes diary addressed to a fictional friend named “Mr. 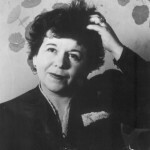 Woggs.” Proves a barely adequate student at Lake Erie, but distinguishes herself in extracurricular activities, serving as editor of the Lake Erie Record in her senior year, writing and performing her own plays, and playing the part of Puck in an outdoor production of A Midsummer Night’s Dream. Spends the summer of 1916 as a counselor at Camp Caho in Michigan. Works for a Shelby newspaper, the Globe, for most of the summer of 1917. 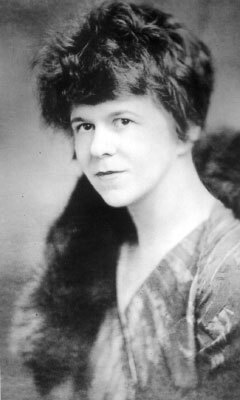 1918 Graduates from Lake Erie College and moves to Pomfret, Connecticut, where she writes, works on a farm, and does some suffragist campaigning throughout the northeastern corner of the state. Studies seriously but informally with author and photographer Ella Boult, who also lives in Pomfret. Moves on September 2 to 353 West 85th Street in New York City. Attempts to enlist in the U.S. Navy in October, but is hospitalized for a month when physical examination indicates that she is suffering from Spanish influenza. 1919 Does extensive free-lance writing for a wide variety of magazines and newspapers, while working at a succession of jobs. 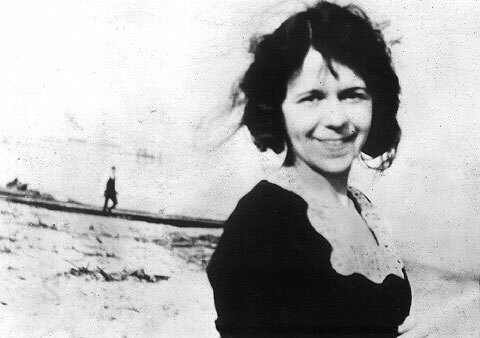 Appears as an extra in Footlights and Shadows, a silent film starring Olive Thomas. 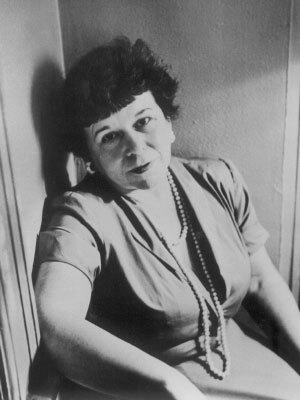 1920 Lives at 569 West End Avenue and is employed by the Interchurch World Movement, where her duties include working in support of Armenian famine relief. 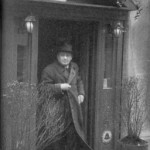 Early in the year, meets a co-worker, Joseph Roebuck Gousha (b. August 20, 1890), a poet and critic from Pittsburgh who has also recently arrived in New York City; they attend Broadway plays together and take long walks in Tarrytown and on Staten Island. Marries Gousha on November 20 at the Church of the Transfiguration on 29th Street in Manhattan. After a honeymoon at the Hotel Pennsylvania on Seventh Avenue near Pennsylvania Station, Powell and her husband decide to maintain separate households, but then move in together at 31 Riverside Drive. 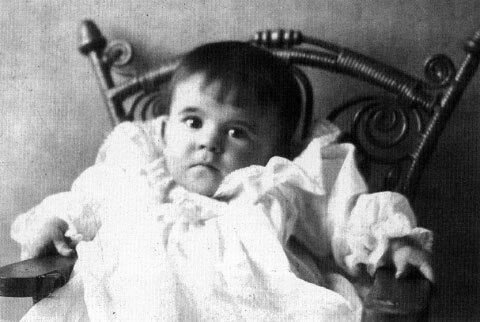 1921 Son Joseph R. Gousha Jr., known as “Jojo,” is born on August 22 at St. Luke’s Hospital in Manhattan after difficult delivery. Powell remains in hospital with son for three weeks. 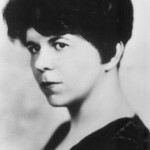 1922 Begins her first novel, Whither, an autobiographical work about her early days in New York; writes mostly in Central Park and in the Children’s Room of the New York Public Library. Joseph abandons writing and begins successful career in advertising. 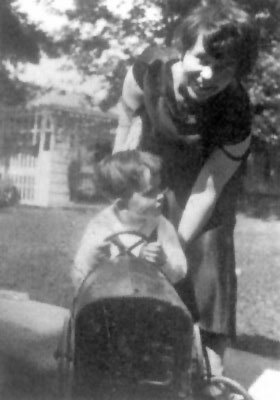 Dawn Powell and her son, Jojo, 1925. It becomes obvious that Jojo is mentally impaired (possibly autistic, a condition then not identified; he will be classified and ministered to as “retarded” or “schizophrenic” throughout most of his life, although his capacity for memorization and certain intellectual tasks is on the genius level). 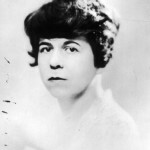 Joseph’s financial success permits the family to hire Louise Lee as nurse and caretaker for Jojo (Lee remains with the household until 1954). Family begins practice of renting a summer beach cottage in Mt. Sinai, Long Island. Moves with family to 46 West Ninth Street in Greenwich Village. 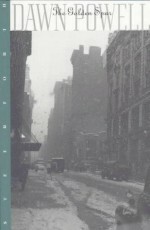 Whither is accepted by the Boston publisher Small, Maynard. 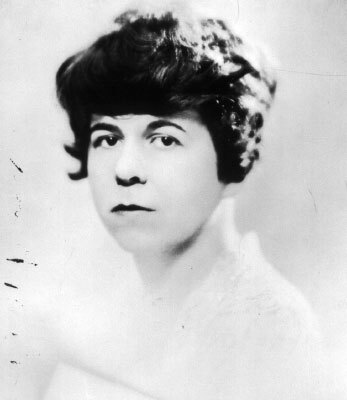 Dawn Powell’s first promotional photo, probably taken 1925. Whither is published and almost immediately disavowed by Powell. Writes a second novel, She Walks In Beauty, which she will always describe as her first. Begins novel The Bride’s House. 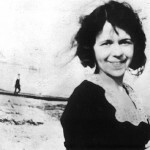 After disagreements with Joseph, spends several weeks in Ohio with her sisters and Orpha May Steinbrueck. Jojo’s disturbances are increasingly blatant and alarming. Powell establishes a deeply devoted, and possibly romantic, friendship with the leftist playwright John Howard Lawson late in the year. The Bride’s House is completed but remains unpublished along with She Walks In Beauty. Father dies in July after a paralytic stroke. 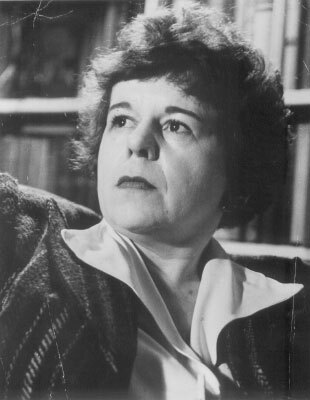 Powell’s social circle includes Charles Norman, Eugene Jolas, Jacques LeClercq, Esther Andrews, and Canby Chambers, and she becomes acquainted with Ernest Hemingway, John Dos Passos, and Theodore Dreiser. Begins writing book reviews for the New York Evening Post, to which she will contribute for more than three decades. 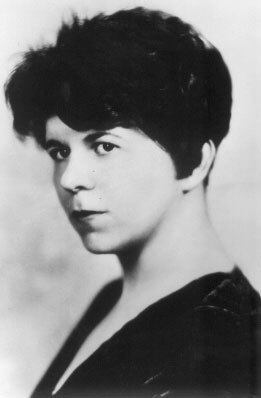 1927 Spends most of the year working on plays, short stories, and free-lance work for magazines, while trying to find a publisher for her two unpublished novels (later claims that She Walks In Beauty was turned down by 36 publishers). Lives at 106 Perry Street in Greenwich Village. 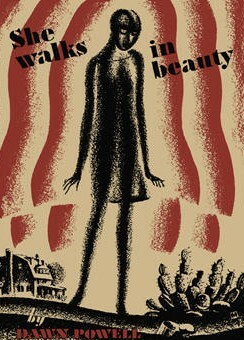 She Walks In Beauty is published by Brentano’s, to generally favorable reviews and unremarkable sales. Joseph is briefly unemployed in the fall and Powell responds by writing a first draft of “The Party,” a play (later retitled Big Night) satirizing the advertising world, in a period of three weeks. Starts work on novel Dance Night. 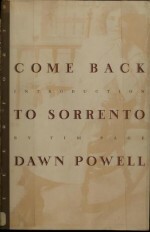 Begins work on two novels, Come Back to Sorrento and a book she originally calls the “Lila” novel, which becomes Turn, Magic Wheel. Begins keeping a detailed diary with some regularity, a practice she continues for the rest of her life. An early play, Walking Down Broadway, is purchased for $7,500 and loosely adapted into a film directed by Erich von Stroheim (the film, which is taken away from Stroheim and partially reshot, is retitled Hello, Sister! and released in 1933). The family moves in October to 9 East 10th Street. 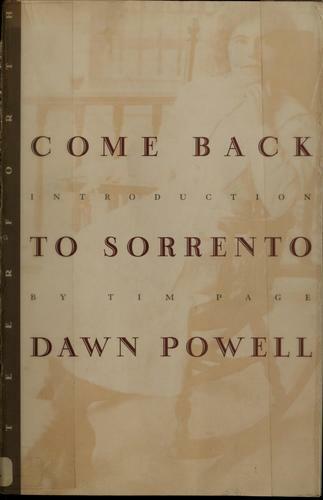 Come Back to Sorrento is published by Farrar & Rinehart, who against Powell’s wishes retitle it The Tenth Moon. Spends beginning of the year in California, working as a screenwriter, but receives no film credits. Big Night is selected for production by the Group Theater, and Powell is anxious about what she calls the “heavy footed literalism” of their staging. 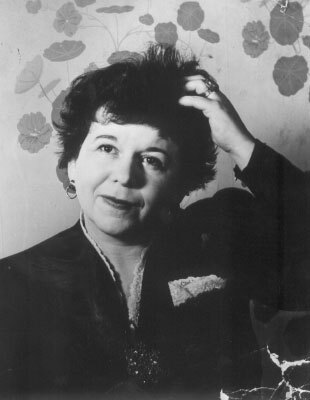 The play is directed by Cheryl Crawford, then, late in the rehearsal period, by Harold Clurman; the cast includes Stella Adler, J. Edward Bromberg, and Clifford Odets. Begins work on novel The Story of a Country Boy, based in part on memories of her maternal cousin Charles Miller. Big Night opens in January; receives harsh reviews and closes after four days, although it is praised by Robert Benchley in The New Yorker. 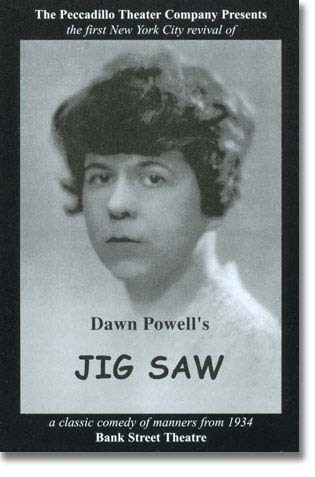 Powell begins work on another play, Jig-Saw. Completes The Story of a Country Boy. 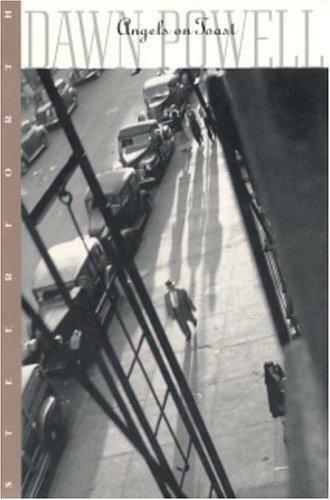 Forms friendship with Edmund Wilson; friendship with John Dos Passos deepens. At the end of the year, there is a rupture, apparently final, with John Howard Lawson. Begins work on satirical novel Turn, Magic Wheel. Jig-Saw is produced by the Theater Guild, with Spring Byington, Ernest Truex, and Cora Witherspoon in leading roles; production is a modest success, and play is published by Farrar & Rinehart. The Story of a Country Boy is published to poor sales and undistinguished reviews; film rights are sold to Warner Brothers and First National Pictures for $12,500. 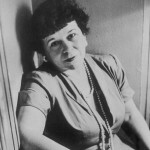 1935 Continues work on Turn, Magic Wheel; Farrar & Rinehart are mystified by her self-proclaimed “new style” of urban comedy, and John Farrar suggests that she put the novel aside, “not necessarily destroy.” Visits Havana and Key West with Joseph and old friend Harry Lissfelt. Men of Iron, a film loosely derived from The Story of a Country Boy, is released to poor reviews. 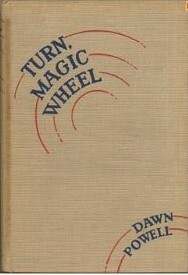 Turn, Magic Wheel is published by Farrar & Rinehart, to excellent reviews and moderate sales. British edition is published by John Constable; the reviews are even more enthusiastic. (Powell will continue to have a small but avid following in England.) Moves again to Hollywood in the fall; earns a large salary as a screenwriter and is promised an extended contract, guaranteeing her up to $1500 a week; dislikes writing for the movies and returns to New York. 1937 Works on novel The Happy Island while taking amphetamine diet pills. Attempts to produce a play, Red Dress, based on She Walks In Beauty, with Norman Bel Geddes. 1939 Signs with Scribner’s, where her new editor is Max Perkins, famous for his work with F. Scott Fitzgerald, Ernest Hemingway, and Thomas Wolfe. Appears as a regular guest analyzing popular songs on radio program Music and Manners, featuring Ann Honeycutt. Briefly employed as book critic for Mademoiselle; describes the work as a “kindergarten” job. Through Dos Passos, becomes increasingly friendly with Gerald and Sara Murphy, and spends weekends with them at their homes in East Hampton and Snedens Landing, New York. Works much of the year on novel Angels on Toast, writing part of it in a Coney Island hotel. Angels on Toast published by Scribner’s, to good reviews and marginal sales. 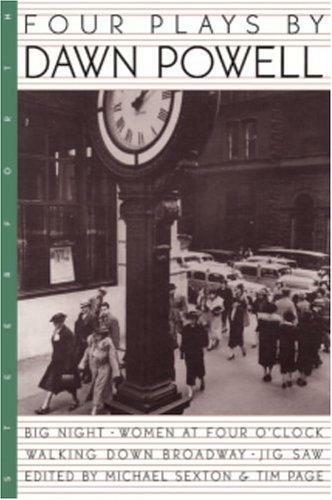 Begins work on A Time To Be Born, based in part on the career of Clare Boothe Luce. 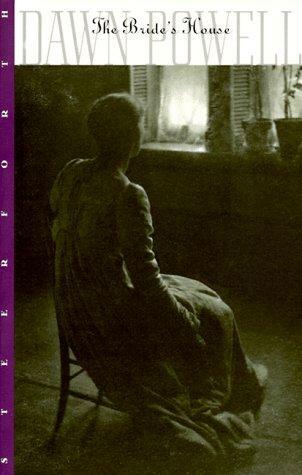 1941 After a dream about her childhood in late January starts to sketch out what becomes My Home Is Far Away, a novel closely based on childhood experiences. At year’s end, she helps rewrite a musical comedy, The Lady Comes Across; other participants in the project include composer Vernon Duke, lyricist John Latouche, choreographer George Balanchine, and actors Jessie Matthews, Mischa Auer, Joe E. Lewis, and Gower Champion. The Lady Comes Across closes in January after two performances. John Latouche remains one of Powell’s closest friends. A Time To Be Born, published by Scribner’s, becomes Powell’s best-selling book to date by far, and is reprinted four times in the first year. The family moves in September to duplex at 35 East Ninth Street. 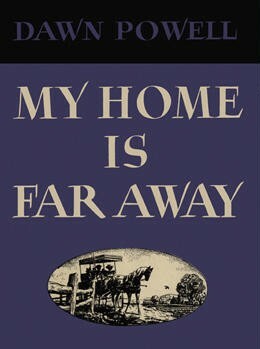 1943 Works steadily on My Home Is Far Away, which she envisions as the beginning of a trilogy. 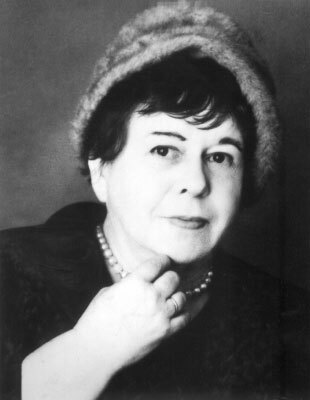 Writes in her diary: “In the new book, I want to trace corruption, private and public, through innocence and love—possibly learning that only by being prepared for all evil can evil be met.” Begins work on novel “The Destroyers,” later retitled The Locusts Have No King. My Home Is Far Away is published; it is dedicated to her cousin John Franklin Sherman, who was also raised by Orpha May Steinbrueck and is serving overseas. Begins “Marcia,” the second volume of her projected trilogy (the novel is never finished, and less than 100 pages of draft survive). Edmund Wilson publishes a mixed review of My Home Is Far Away in The New Yorker in November; review hurts Powell deeply and nearly ruptures their friendship. 1945 In the summer, visits Ohio for what will be the last reunion with her two sisters. 1946 Incorporates the fascination and horror she feels listening to radio broadcasts of the United States atomic bomb tests on Bikini Atoll into the final scene of The Locusts Have No King, which she now plans as a deliberately “post-war” novel. 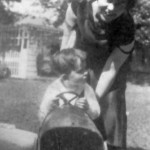 Takes an automobile trip to Florida with Margaret De Silver, where they visit with Esther Andrews, Canby Chambers, and Pauline Pfeiffer Hemingway. Undergoes a hysterectomy in the fall; tells friends she has been “spayed.” Works on The Locusts Have No King throughout the year. 1947 Meets Malcolm Lowry during his visit to Manhattan to promote his recently published novel Under the Volcano; the two become friends and correspondents. Max Perkins dies in June. Powell attends to John Dos Passos after an automobile accident in September on Cape Cod, which costs him an eye and kills his wife, Katy. Hospitalized for more than two weeks after being attacked and badly beaten by Jojo in November. 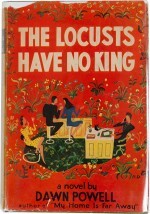 The Locusts Have No King is published by Scribner’s. 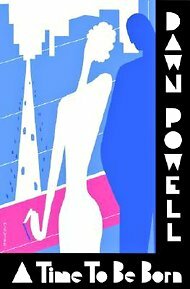 Powell deems it an “admirable, superior work—no holes of plot as in other works—and a sustained intelligence dominating the farcical and exaggerated so that it had more unity and structural solidity than anything I ever did.” The novel receives favorable reviews but sales are mediocre. To Powell’s surprise, her English publisher, John Constable, rejects the book. Visits Haiti and Key West in March. 1949 Pressure within Powell’s chest is finally diagnosed as a teratoma, a rare tumor that often includes fragments of hair and teeth, which has become so acute that her ribs are cracking from its pressure. Tumor is successfully removed in April. 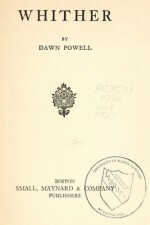 Powell believes the growth a “failed twin” and nicknames it “Terry Toma.” Accepts a month-long residency during the summer at the MacDowell Colony, but is irritated by the colony’s regulations and traditions and remains stymied in her work on “Marcia.” Sister Mabel Powell Pocock dies in October. 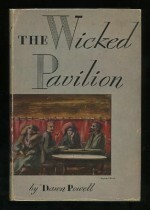 Unable to make headway with her new project, a “novel of Washington Square” entitled The Wicked Pavilion. Feeling the need for a drastic change, moves in October with financial aid from Margaret De Silver to Paris, where she lives at the Hotel Lutetia on the Left Bank. 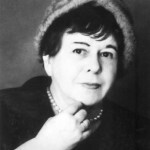 Renews old friendships with Eugene Jolas and Libby Holman, and meets Samuel Beckett, Jean-Paul Sartre, and Simone de Beauvoir; dislikes France and finds Parisians “the most moralizing people in the world.” Cuts her stay short when Chinese intervention in the Korean War suggests to her that a global conflict may be imminent. 1951 Stays briefly in London in January before returning to New York. Jojo has an unusually good year and spends a considerable amount of time at home, encouraging parents’ hopes for further improvement. 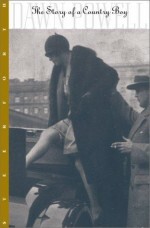 Writes in her diary on July 29: “Incredible that after working steadily on this novel, with very few sidetracks except wretched and futile attempts at money … I have gotten no further than 12 pages or so.” Cuts her ties with Scribner’s when they refuse, after her repeated urgings, to bring out a collection of her short stories. Rosalind Baker Wilson (daughter of Edmund Wilson) brings Powell to Houghton Mifflin. Sunday, Monday and Always, a collection of short stories, is published in June by Houghton Mifflin and receives excellent notices, with many reviewers using the occasion to celebrate Powell’s work in general. 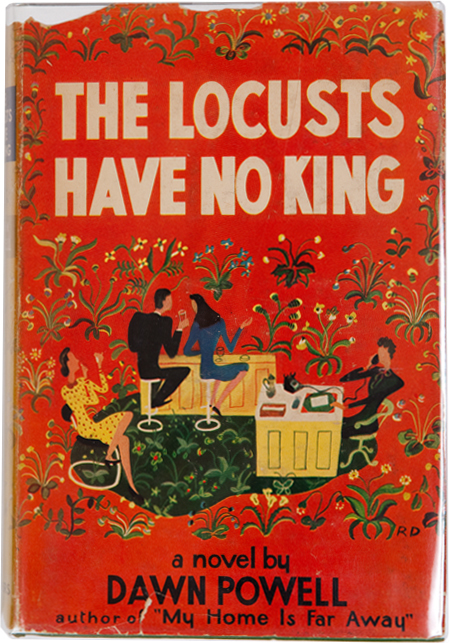 In the fall, London-based publisher W. H. Allen agrees to bring out The Locusts Have No King; Sunday, Monday and Always; and the forthcoming novel, The Wicked Pavilion, in England, restoring Powell to print there for the first time in several years. Becomes active supporter of Adlai Stevenson in his presidential campaign against Dwight D. Eisenhower. Works sporadically on “Yow,” a children’s book about cats, which she does not finish. 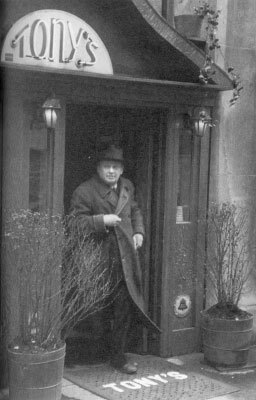 Powell’s husband, Joseph Gousha, leaving a favorite hang-out, 1950s. The demolition of Powell’s beloved Hotel Lafayette and the adjoining Hotel Brevoort helps provide impetus to complete The Wicked Pavilion. Powell takes photographs of the rubble and models the novel’s “Café Julien” on the Lafayette. In her diary, lists the novels that have most influenced her: Sister Carrie (Dreiser),Dodsworth (Lewis), Sentimental Education (Flaubert), Satyricon (Petronius),Daniel Deronda (Eliot), Dead Souls (Gogol), Lost Illusions and The Distinguished Provincial (Balzac), Our Mutual Friend and David Copperfield (Dickens), andJenny (Undset). Meets Gore Vidal in March and forms friendship. Frequents the Cedar Bar on Eighth Street, where she meets many artists, including Franz Kline. 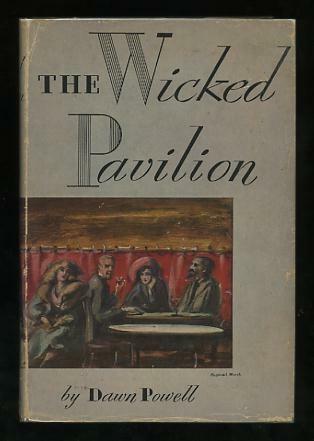 The Wicked Pavilion is published in October; it is reviewed on the front page of the New YorkHerald Tribune book review and appears for a week on the New York Timesbestseller list. Afraid of Jojo’s violence, she and Joseph look into the possibility of a prefrontal lobotomy; Dos Passos convinces them not to go ahead with the operation. Louise Lee suffers a debilitating stroke in March and does not return to the Gousha household; this upsets Jojo greatly and his parents reluctantly confine him more or less permanently to the New York state hospital system. 1955 Begins a residency in April at Yaddo, arts colony outside Saratoga Springs, New York, and is happier there than at the MacDowell Colony; begins a new novel, later published as A Cage for Lovers. Through the writer and bookstore owner Peter Martin, meets the young Jacqueline Miller (later Rice), who becomes one of her closest friends and later serves as her executor. In November, endures first in series of severe nosebleeds; she is told in December that she is suffering from anemia. Contributes book reviews regularly to the New York Post. 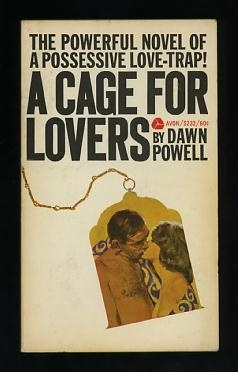 Completes novel A Cage for Lovers, after a long series of rewrites demanded by the publisher; the book is published in October with little fanfare or appreciation. Joseph is informed in December by his advertising agency that he will be retired on January 1, 1958. 1958 Family finances collapse after Joseph’s retirement. By October, the family is forced to move from 35 East Ninth Street, and begins a series of residencies in hotels and sublets. Powell writes a great deal of free-lance work and searches for a job. At the suggestion of Malcolm Cowley, Viking Press contracts Powell for a novel that will become The Golden Spur. 1959 Margaret De Silver rescues Powell and Joseph from their poverty with a generous trust fund. 1960 Powell and Joseph move to 43 Fifth Avenue. 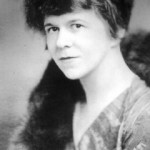 Powell spends much of the spring at Yaddo, where she becomes close friends with novelist Hannah Green, but leaves after another violent nosebleed. Joseph is diagnosed with rectal cancer in May; an operation relieves pain but his health continues to deteriorate. Powell returns to Lake Erie College to receive an honorary doctorate. 1961 Powell is hospitalized for anemia; doctors suggest removal of a growth, which she refuses. Spends much of the year taking care of her husband. 1962 Joseph dies on February 14. Margaret De Silver dies on June 1. The Golden Spur is published by Viking in October. Edmund Wilson’s “Dawn Powell: Greenwich Village in the Fifties,” the most significant critical piece on Powell’s work during her lifetime, is published in The New Yorker. The Golden Spur is nominated for the National Book Award but does not win. 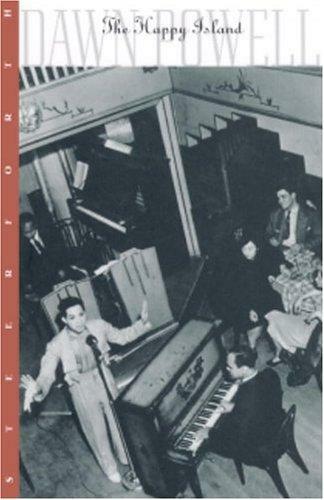 Powell works with Lee Adams and Charles Strouse on a musical comedy version of The Golden Spur. Moves to a penthouse at 95 Christopher Street, prompting a lawsuit from her former landlords at 43 Fifth Avenue. Autobiographical sketch “What Are You Doing In My Dreams?” is published in Vogue. Begins work on “Summer Rose,” a novel. 1964 Returns to Lake Erie College in May to lecture, meet with students, and deliver graduation address. The American Academy of Arts and Letters presents her with the Marjorie Peabody Waite Award for lifetime achievement in literature. 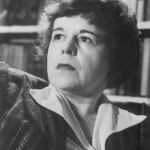 Powell finds herself in more professional demand than in the past, with regular offers for well-paid free-lance work and a significantly higher advance for her next novel. Her health is poor; she has begun to lose weight and suffers from anemia. Diagnosed with colon cancer in August, she realizes that she is probably mortally ill. The Golden Spur musical project is indefinitely postponed.